Original owner uses as a pied-à-terre, barely used. Move-in, perfect condition. This exquisite home is ideal for any buyer; a first apartment, the perfect pied-à-terre or a can't-miss investment opportunity. Reade57 is ideally situated between Broadway and Church Street where uncountable restaurants, bars, cafes, culture and nightlife spots pepper the area. The world-renowned boutiques of Downtown are all within walking distance, while both riverfronts and a number of green spaces are but a comfortable stroll away. 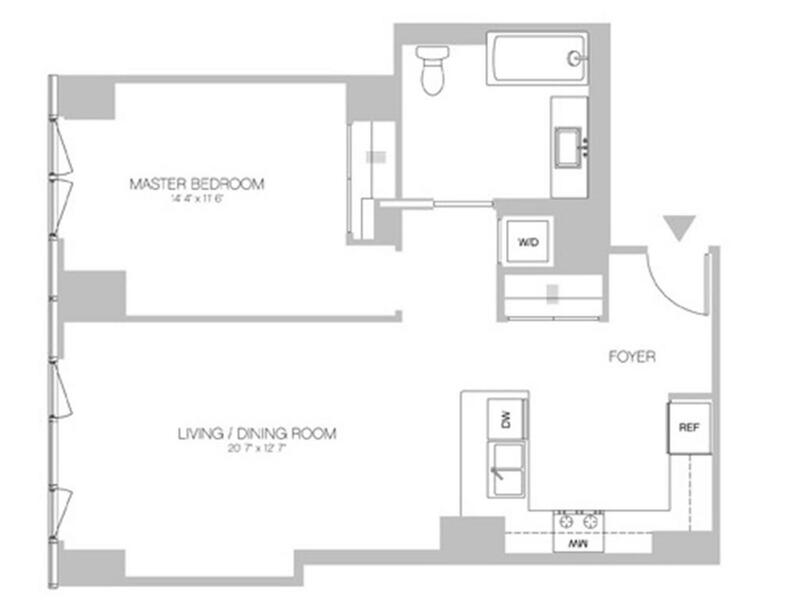 The pet-friendly elevator building offers a 24-hour doorman, gym, landscaped common terrace, and live-in super. There are additional private, cold, and bike storage spaces available, and the 1/2/3 trains stop just two blocks away. Tax Abatement in place until 2022.